Impingement nozzles spray and distribute liquid by impacting it on a pin immediately as it exits the orifice. 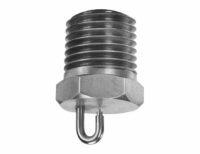 Impingement nozzles are ideal for applications that need a small liquid drop size such as: coating, gas quenching, humidification, odor control and viscous liquid mixing. 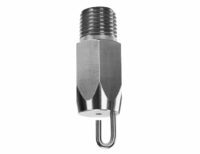 If you need area misting, this nozzles provide the widest coverage of misting nozzles. It produced the fines drop size of any direct pressure nozzle. The small droplet size can increase process efficiency and is widely used for gas cooling and material injection.